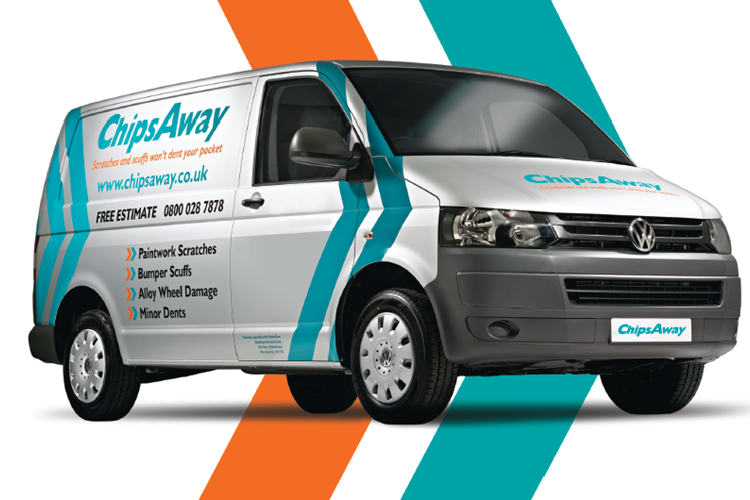 ChipsAway Car Care Centres are local workshops which offer a convenient and cost-effective service, providing high quality car body repairs to minor automotive paintwork damage within a matter of hours and at a fraction of the cost of traditional body shop repair methods! Excellent service. Delivered the car at 830am and was told it would be ready in 8 hours - received a call at 420pm saying the work was completed. Repair work was superb. Scratches were completely removed and no signs of re-paint - completely blended in. Employees were friendly, knowledgeable and helpful. Would definitely recommend to friends and family. I have recently had some rear bumper repairs and paintwork carried out to my Jaguar XF by Alan Wilson at his Ashby de la Zouch Car Care Centre. The work was done to a very high standard, the staff were very polite and took the time to explain the procedures. I am very pleased with the result and would not hesitate to recommend this firm. Good service from Alan & Dean at Ashby Chips Away! New wing fitted, painted and lacquered! Great job! Had a repair carried out at Ashby de La Zouch and am very pleased with the results. The staff were extremely helpful and efficient and kept me informed throughout as it was a non-standard repair. First rate service. Would definitely recommend and would not hesitate to use them again. The work carried out at the Ashby DE La Zouch branch was excellent. The work was fully explained to me both before and after being carried out, and the estimate was accurate and reasonable. On the day I took the car for repair I was met by the technician who was to do the work, and he phoned me when the work was completed, which was ... Read more within his timescale. I am pleased with the work and the car now looks as good as new. I have no hesitation in recommending this branch of Chips Away. Thank you. ChipsAway,Ashby de la Zouch. I have used this branch several times with different vehicles. Alan Wilson and his small team are friendly helpful and go the extra mile to give total satisfaction. The standard of workmanship is outstanding. I throughly recommend them. The team at ChipsAway were very efficient, did excellent work on my vehicle and completed the job on time. Pricing for the work was very competitive and value for money. I will certainly use ChipsAway again in the future. Dan, Dean and Alan - excellent service from the Chips Away team at Ashby de la Zouch. Thank you. Chips Away in Ashby have done a perfect job on my car. Having several scratches going down the boot of my car it was sorted with no problems at all. Thanks for doing such a great job! This is the second time I have used this firm. Both Alan and his partner are so professional obliging, and accommodating. There workmanship is second to none. I would have no hestitation whatsoever in recommending both of them to anyone. Excellent service from ChipsAway at Ashby - would definitely recommend them! Car booked into the Ashby-de-la-Zouch franchise for a front bumper repair. Before the appointment date the rear bumper was also unfortunately scratched, but the team managed to fit in both repairs on the same day and the car is just like new again. The car was collected from my home and delivered back the same day. I would highly ... Read more recommend Alan and his cheerful, polite, team at Ashby. Well done! They did a brilliant job on my Kia and the colour match was spot on. I would 100% highly recommend. Very nice and courteous staff , and spotless well organised workshop. No surprises, was given the quote, work to be done fully explained. Completed job great. Staff friendly and professional. Excellent work and completed on time. Will use again Price also very competitive. Staff very professional and customer focused. Had a scrape with the gate along rear quarter where the bodywork has different contouring. Went along to Ashby-de-la-Zouch branch extremely friendly and helpful staff Dean it was who dealt with me. Explained that it would be challenging (car manufacturer didn’t fancy it and wanted to replace whole panel) but would do his best. I ... Read more was concerned about the colour match as it’s a mixture. Needn’t have. Absolutely top job couldn’t thank and praise Dean enough brilliant. Thanks again Dean. Scuffs to door and gouge in sill following argument with low wall! Excellent job on what was a tricky area to deal with given the contours involved. Recently brought my car in to get a quote for a dent on my wheel arch from someone hitting it in a car park... booked in for the quote and they were able to squeeze me in on the same day to get it fixed! Amazing service and friendly staff. I will be using this place again if I ever get another dent! Very helpful and efficient. Would thoroughly recommend them.